In the highlands of Ethiopia, the avocado is forging a unique bond between Ethiopian and Israeli farmers. Avocados are a profitable crop and people have an increasing taste for them. Americans are consuming more than six pounds per person annually, three times what they ate in 2000. The increasing demand means that many countries are seeking a piece of the action. One of them is Ethiopia, which is one of the top 20 producers in the world. For Israel, this is a golden opportunity for agricultural collaboration. Yuval Fuchs, deputy head of MASHAV, Israel’s international development agency, recently returned from Ethiopia, where he saw the Israeli-Ethiopian partnership for himself. “One project we have is a wonderful cooperation with [the U.S. Agency for International Development] and it consists of six avocado nurseries,” says Fuchs. Avocado plants are sensitive to drought and weather conditions, and “it is not a known crop in the region…but there are optimal conditions. 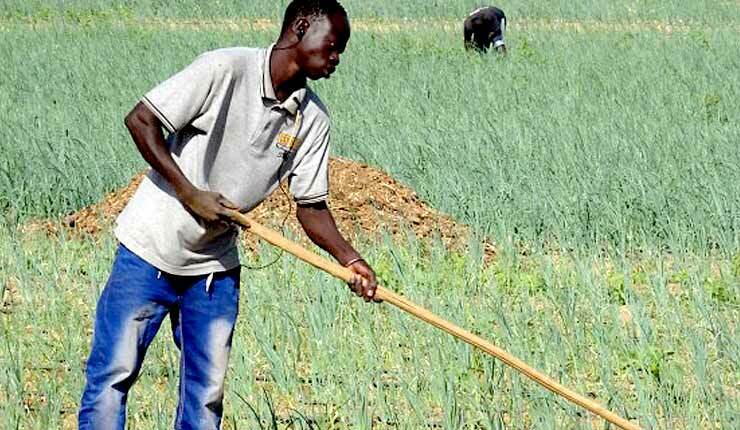 It is an intensive crop that if introduced correctly will be beneficial for the farmer.” According to Fuchs, the nurseries that Israel has supported in Ethiopia are producing 200,000 seedlings a year. These can be used to plant thousands of acres. “It’s a lot, in two to three years it can already yield [fruit], which is a strong contribution to farmers and exports,” he adds. The success of projects like growing avocados in Ethiopia builds on a legacy of more than sixty years of MASHAV’s work. It was founded in 1957 under the guidance of then-Foreign Minister Golda Meir. Meir saw parallels between the Israeli experience and that of countries in sub-Saharan Africa. Much like those emerging states, Israel had to pioneer new methods of agriculture in order to make itself self-sufficient in a hostile environment. There was much that Israel could and wanted to give to African countries, she wrote, but at the time, there were few takers. North Africa’s Arab states were struggling for independence and were hostile to Israel. Volunteers to fight against Israel’s independence had come from Sudan, Algeria, Tunisia, and Morocco. Jews were attacked in June of 1948 in Tripoli, Libya. As these North African countries gained independence, they joined the Arab League, which led the campaign against Israel internationally. But below the Sahara, as the desert gives way to the savannahs of Africa, Israel could pursue alliances with non-Arab African states. This romance between Africa and Israel was short-lived. Following the 1973 Yom Kippur War, 25 sub-Saharan states severed relations with Israel at the behest of the Arab countries. Many members of the Organization of African Unity, which was founded in 1963, bought into the Soviet and Arab League-supported narrative that the war against Israel was part of the “global south” fighting against “imperialism,” and drastically reduced ties to Israel and MASHAV. The peace process that began in 1977 with Egypt, however, led to the renewal of ties, and Israel now maintains diplomatic relations with 40 countries in sub-Saharan Africa and has nine embassies on the continent, some of which represent interests in several countries. Indeed, fighting terrorism is a key point of cooperation. In 2013, U.S. Undersecretary of the Treasury David Cohen told Reuters that West Africa was increasingly becoming a base of operations for Hezbollah. 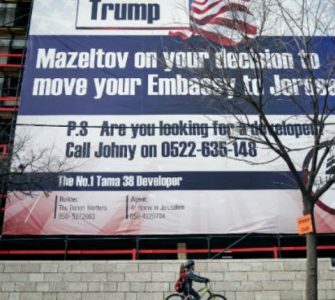 “There’s reason to think Hezbollah is not just collecting money but also using these outposts as places where they can plan and conduct activities,” he said. Hezbollah is especially active in areas where the Lebanese diaspora is located, including Nigeria, Cote d’Ivoire, Gambia, and Senegal. The Hezbollah-Iranian connection threatens not only African states, but Israeli assets on the continent as well. Several Iranians were reportedly charged in Kenya on December 1, 2016 with plotting to attack the Israeli embassy. In 2002, terrorists attacked a Kenyan hotel frequented by Israelis on Chanukah eve and fired missiles at an Israel-bound flight. 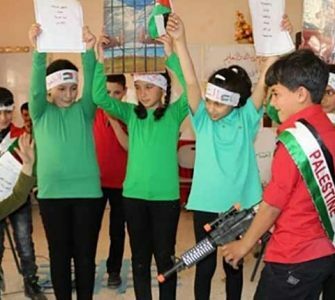 Israelis are by no means the only targets. Throughout Africa, Islamist terror has been on the rise. Al Qaeda in the Islamic Maghreb attacked a hotel in Ouagadougou, Burkina Faso in January 2016 and aided an attack in Bamako, Mali in November 2015. Boko Haram has brought destruction to much of Nigeria. Al-Shabab has attacked Kenya, taken over part of Somalia, and carried out suicide bombings in Uganda. Al-Shabab’s attacks on Uganda, most notably striking a World Cup watching party in 2010, weren’t the first time terrorism struck the country. In 1976, four hijackers from the Popular Front for the Liberation of Palestine hijacked Air France Flight 139 and flew it to Uganda, which was then under the dictatorship of Idi Amin. In a daring raid, Israeli commandos freed 102 hostages from Entebbe International Airport and flew them to Israel. 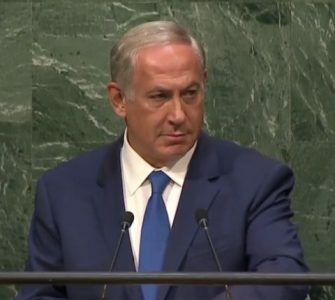 “This is a deeply moving day for me,” Netanyahu said at Entebbe in July 2016. “Forty years ago [Israeli commandos] landed in the dead of night in a country led by a brutal dictator who gave refuge to terrorists. Today we landed in broad daylight in a friendly country led by a president who fights terrorists.” He came to Entebbe to commemorate the raid and remember his brother Yonatan, who lost his life in the mission. The Prime Minister also visited Kenya, Rwanda, and Ethiopia, and has announced his intention to visit West Africa soon. Israeli-African relations are anchored in Ethiopia and Kenya, and fan out from there across the continent. MASHAV has been a key part of these relations every step of the way. MASHAV’s website lists projects in in Ethiopia, Kenya, Ghana, Rwanda, South Sudan, Uganda, Burkina Faso, Cote d’Ivoire, Cameroon, and Togo. Fuchs says the main thing that makes MASHAV special is that it is not a financing agency, but focuses on implementation. He explains that “Our strength is in capacity building,” that is, ensuring that the countries have the ability to continue with MASHAV-generated projects long after the Israelis have left. This is an important distinction from several larger countries engaged in international aid. Japan, Canada, Sweden, and France give more than a billion dollars in aid a year to Africa, and countries like Ethiopia, Tanzania, Kenya, and Nigeria receive billions from around the world. But despite massive transfers of wealth, these funds often prove ineffective in improving conditions on the ground. In contrast, Israel’s skill since the 1950s has been in training and providing expertise. 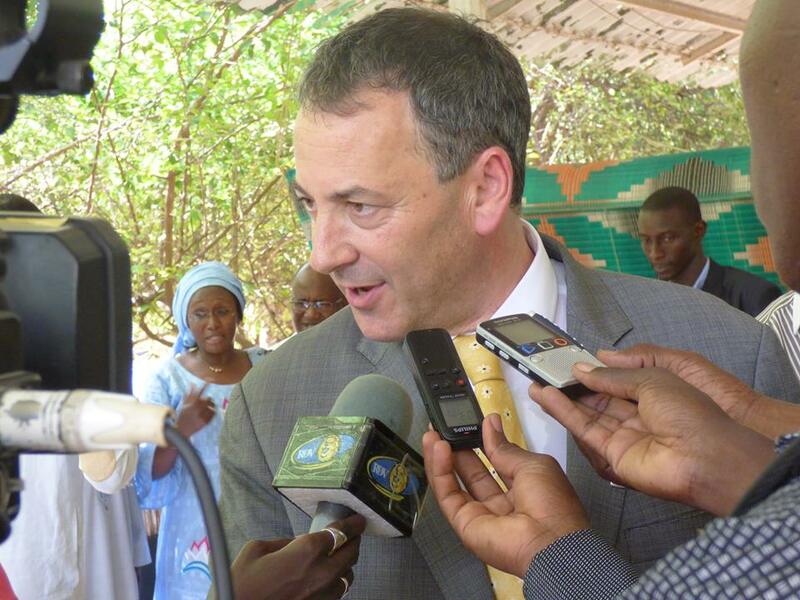 Paul Hirschson, Israel’s ambassador to Senegal, always stresses that the goal is “training the trainers.” That means bringing citizens from African states to Israel for training, or working alongside locals in the field. On a trip to Senegal with Hirschson in the spring of 2016, I saw that up close. The Israeli embassy in Senegal is located in Dakar, a center of trade in West Africa. With its bustling downtown and epic 160-foot African Renaissance Monument, Dakar is a cultural hub. But it also has a tragic history of colonialism and slavery. For 300 years, slaves were exported from a small island off the coast called Goree. Visitors can see the dank cells where people were kept and the “door of no return” from which people were shipped to the New World. But from this tragic past has arisen a success story, a democracy in West Africa with a unique form of localized Islam and a colorful local culture. “Agriculture is the anchor of what we are doing here,” says Hirschson. Doubling as Israel’s representative in Guinea-Bissau, Sierra Leone, and Cape Verde, Hirschson deals with projects throughout the region. For instance, Israel recently helped create the only dialysis center in Sierra Leone, and trained doctors and nurses in Israel. In March, Hirschson and I drove out to see what Israel has accomplished. The road out of Dakar’s urban landscape quickly turns into African grassland. Towering iconic baobab trees, with their giant trunks and little tufts of foliage, dot the landscape. Roads are lined with people selling agricultural products and farmers work the fields beside men herding goats and cows. At a small village named Touba-Toul, an hour or so east of Dakar, a gate leads to a pretty field. Rows of green onions are starting to grow and they stretch into the distance. Men come and go as they work in the fields. 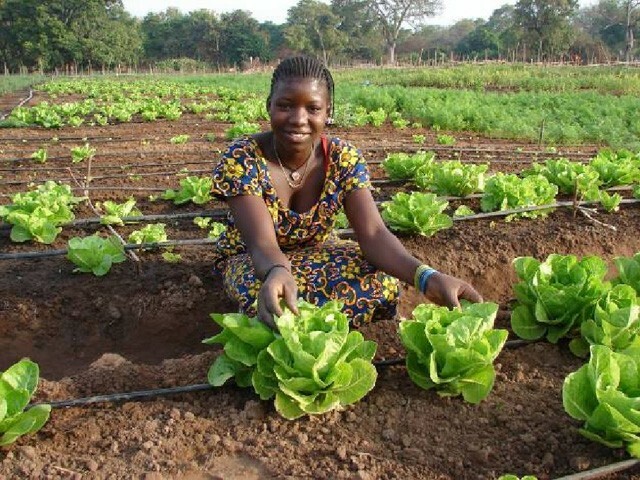 The project, in partnership with an Italian aid agency and the Senegalese agriculture ministry, brings Israeli expertise in drip irrigation to this dry climate. That means that although Muslims in Senegal and West Africa may have an affinity for the Islamic world and the Palestinian cause, they differentiate it from relations with Israel. Senegal chairs the UN Committee on the Exercise of the Inalienable Rights of the Palestinian People and has a seat on the Security Council. Despite positive relations with Israel, the country votes alongside Arab states in support of the Palestinians, most recently on UN Security Council Resolution 2334, which condemned Israeli settlement activity. This caused Israel to return Hirschson to Jerusalem for consultations. However, the general picture in West Africa is a positive one. In July 2016, Foreign Ministry Director-General Dore Gold announced renewed ties with Guinea after a 49-year hiatus. “This is part of a process that is gaining momentum and is very important,” Netanyahu said at the time. Israel has trained 67,000 people in sub-Saharan Africa, says Fuchs of MASHAV. More than 1,000 trainees from Africa came to Israel in 2016. Israel is constantly inviting delegations from Africa on study tours and partnering with other international and national aid agencies. “We had a conference with [the Economic Community of West African States] recently, in which 13 delegations out of 15 countries came to Israel, including agriculture ministers, and this was used as a platform for bilateral relations,” says Fuchs. Like Hirschson, Fuchs stresses that the important thing for Israel is to be effective and avoid overstretching its limited resources. “In each country we work with, whether big or small, we have a clear development plan…a program that makes sense with elements that relate to each other and support each other,” Fuchs states. 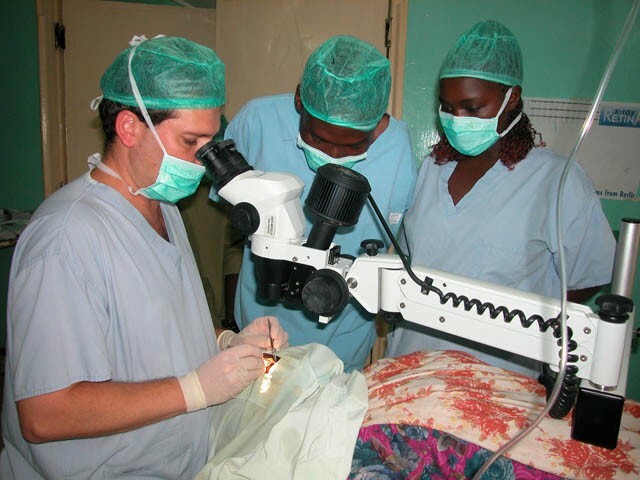 For instance, in Swaziland, MASHAV is consulting on irrigation, and in Togo, Israeli doctors are doing cataract operations and training local doctors at the same time. In Kenya, one of Israel’s closest partners, MASHAV has several projects, most relating to water and education. One of them involves helping to reduce the pollution in Lake Victoria and improve water quality. In each case, Israel often partners with not only the local government but foreign aid organizations. Fuchs lists off Germans, Italians, and other collaborators who do the heavy lifting in investment and financing while Israel provides training and expertise. 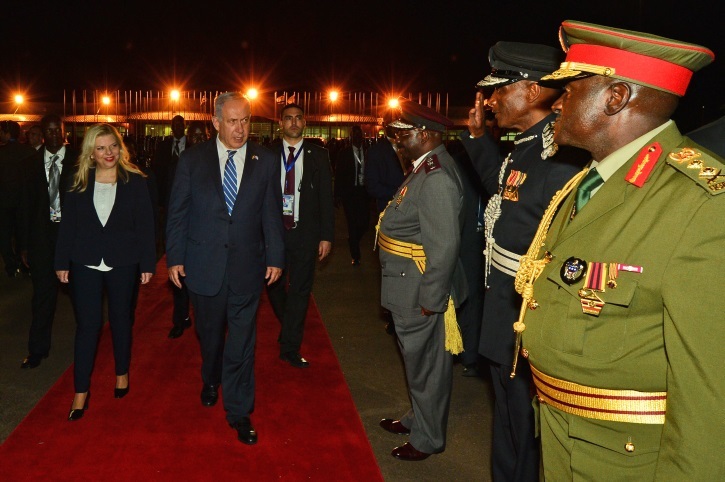 The overall picture of Israel’s relations with sub-Saharan Africa is that the dream Meir set forth in the 1950s of working with newly independent states has come full circle. 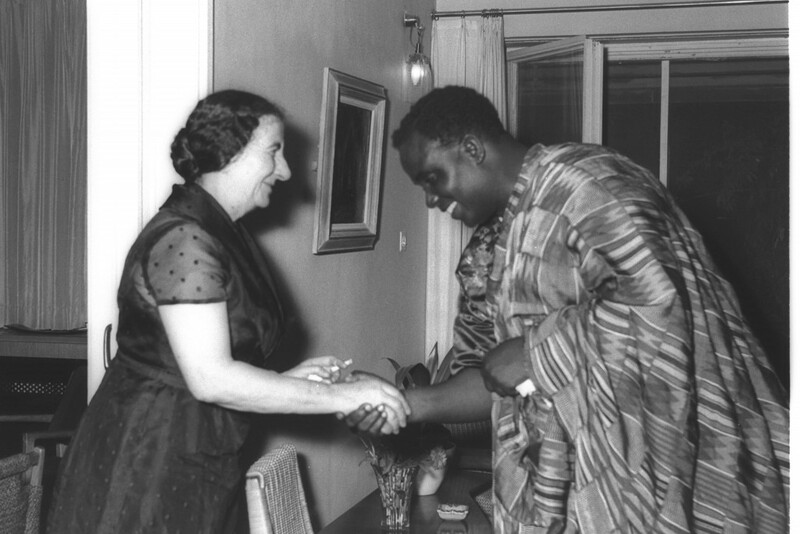 The “different conversation” that Hirschson sees as unique to Jews and Africans due to shared histories is one that underpins this relationship. Whereas relations with Europe may have the baggage of historical anti-Semitism, and the Middle East has its own problems related to decades of hostility to the presence of a Jewish state, relations with sub-Saharan Africa are built on different pillars. MASHAV’s role in sustainable development and other aid work plays to Israel’s strengths and expertise. 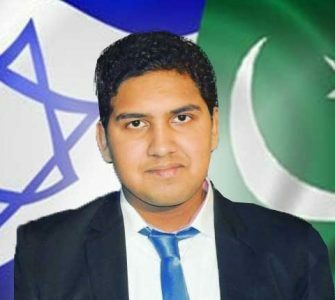 It also pairs well with increasing strategic and economic ties, and proves decisively that Israel now has a chance to play a positive role in Africa and form new alliances as a result.